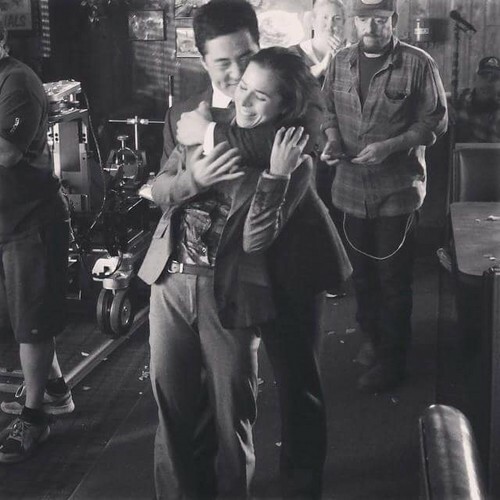 Cho and Vega :). . Wallpaper and background images in the The Mentalist club tagged: photo the mentalist bts vega cho on set season 7. This The Mentalist photo contains street, city scene, and urban setting. There might also be diner.